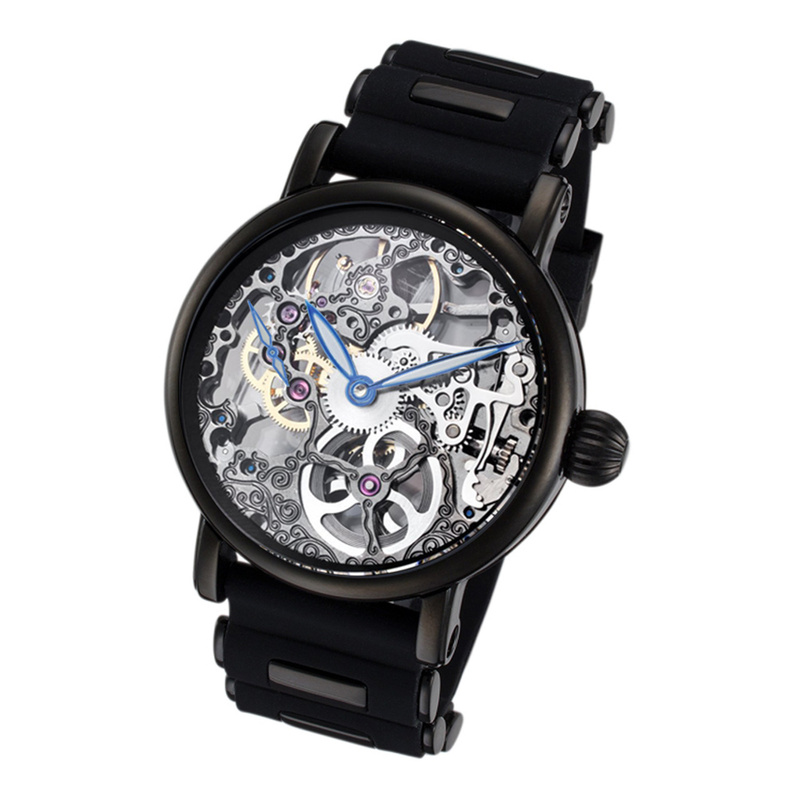 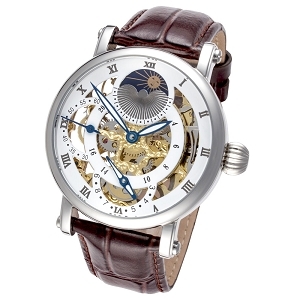 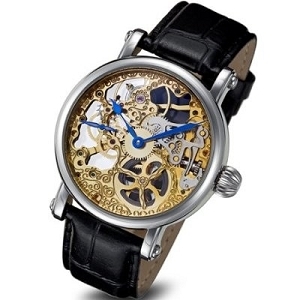 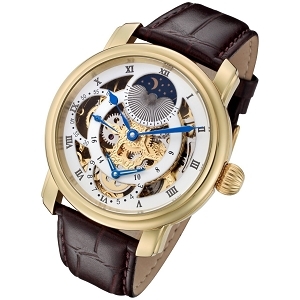 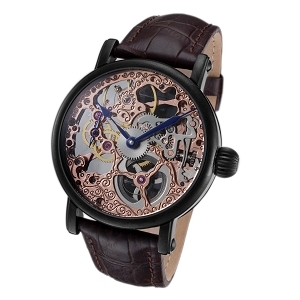 Skeleton face watch with hand wind, mechanical movement. 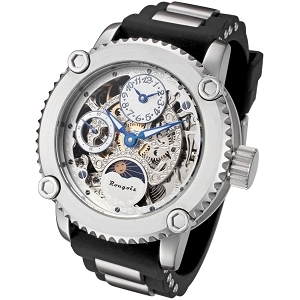 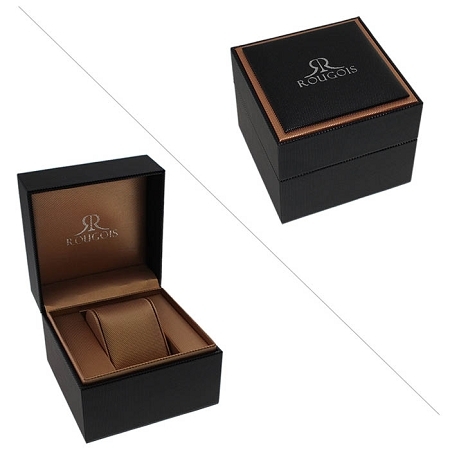 The movement is viewable from both the front and back via scratch resistant mineral crystals. 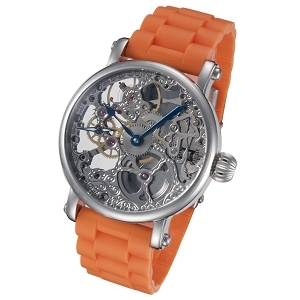 Features a silicone band with stainless steel inserts.